A young Special Ed teacher, Jo Macellaro knew she had to do something when Trump was elected and her students came to class in tears, afraid Trump would deport or even kill them. So she joined the mostly queer Rise and Resist, kicking off her trouble-making career with a direct action focused on immigration, "No ban, no wall, no raids." After a particularly frustrating episode, they decided to start their own direct action group, embracing the joke as their new name, Revolting Lesbians. Their purpose, "following the money, exposing the right-wing agenda, and taking back power." Their first public appearance was at the January 20th Women's March in New York City. They hadn't planned on doing anything until they heard how four black lesbians [Kaladaa Crowell, Brandi Mells, Shanta Myers and Kerrice Lewis] and three of their children had been brutally murdered in the space of a week. "We're Revolting Lesbians. We're a lesbian group. We felt like we had to do something about this... Friends of some of the women who were murdered were saying that it really hurt them that one of them was burned alive in the trunk of a car and the [mainstream] media didn't even really cover it." They also wanted a stronger lesbian presence at this year’s march. Some of them had marched the year before in New York, others in Washington. And they’d found it was mostly straight, white women. The response to the Revolting Lesbians was amazing. "We had people write to us who weren't there thanking us for doing it. 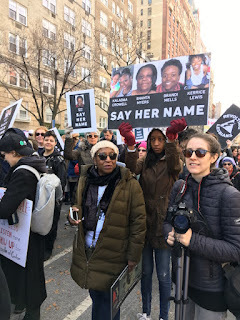 We had people at other women's marches print out our signs and have their own #SayHerName contingents." Their current mission is to remove Rebecca Mercer from the board of New York’s American Museum of Natural History. Those who had been in Rise and Resist were tired of just reacting to Trump. Every day he and his Republican administration were responsible for a new atrocity. Every week they'd take to the streets in response. They wanted to do something more strategic, and achievable, and began researching the money behind Trump. Soon they discovered how the Mercer family stepped in and bankrolled Trump's presidential campaign when it was faltering, and that Rebecca Mercer conveniently lived and conducted a lot of her business in New York. What shocked the Revolting Lesbians most, was that she sat on the board of the Museum of Natural History. Jo tracked down the Mercer family foundation tax returns for 2009-2015, and discovered she donated almost 43 million dollars to groups promoting climate change denial. This included several millions to the Heartland Foundation, which claims responsibility for convincing Trump that climate change is fake. "Climate change affects everybody," Jo said. Lesbians included. The group decided that getting Mercer off the board of the Museum of Natural History was a fight that they could actually win. They drew an enthusiastic crowd to their first demo, even though it was held the day after the Women's March. And eager tourists snapped pictures of one dyke dressed as a raptor with Mercer's face, and someone else as her, but holding a bloody earth. They also got a lot of media attention. Maybe because the Museum’s security panicked and called the cops. While the press used photos of their action, and quoted their research, most of the outlets didn't mention the name, Revolting Lesbians. They preferred to cite the group of scientists who wrote their own letter denouncing Mercer, even though the scientists were spurred into action by, and used the research of, the Revolting Lesbians. This didn't surprise members that had been Lesbian Avengers. Then as now, people are afraid of using the word lesbian. 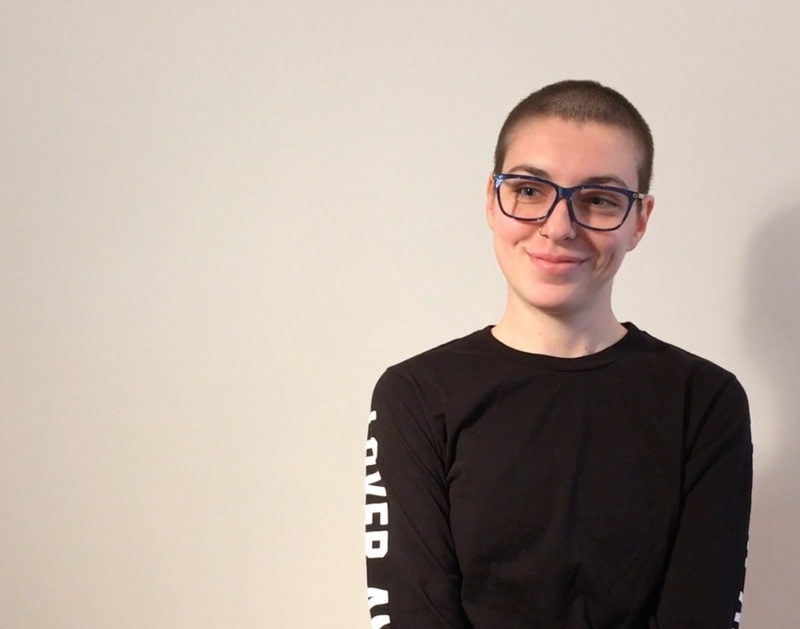 "When I was making our Facebook page for Revolting Lesbians I had to change the name in our url. Because Facebook doesn't let you use the word "lesbian" in a url." Though weirdly, dyke was accepted. Jo explained that it was important for the name Revolting Lesbians to appear, even in something focused on climate change, because lesbians and queer women, women in general, have made huge contributions to every social movement, but almost never gotten credit. So far their results about Mercer are mixed. They've succeeded in calling attention to the issue, but the Museum of Natural History has so far refused to remove Mercer from their board, claiming that she doesn't influence their programming. The Revolting Lesbians are determined to keep up the pressure, and are optimistic that the board will change their position, or Mercer herself will resign because she shies away from the media. "If you look her up online there are only three pictures of her. So, we'll see. With all this attention, hopefully, she will want to back off."